I would easily recommend this hostel to anyone! 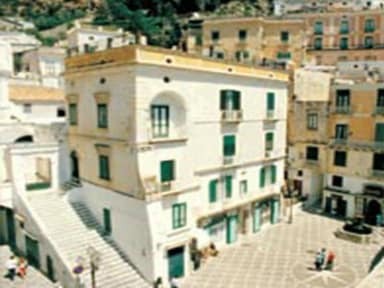 It’s a perfect location with only a 5-10 minute walk to Amalfi, and Atrani is much more affordable than touristy Amalfi. The owners are brothers who are incredibly kind, welcoming, and helpful. Overall an amazing experience! So wonderful, perfect location! The owners were so lovely and helpful, I felt very safe and had a great view & breakfast! This was one of the nicest hostels I’ve ever stayed in! The owners were really sweet and went above and beyond to make me feel comfortable and gave me suggestions on where to hike. Breakfast was good, definitely would recommend staying here! Because we went when it was off-season we got upgraded to a two person private room with ensuite, which was greatly appreciated. The owner was very helpful in giving us advice about Atrani, Amalfi, and the other surrounding areas, making sure we made the most of our time. 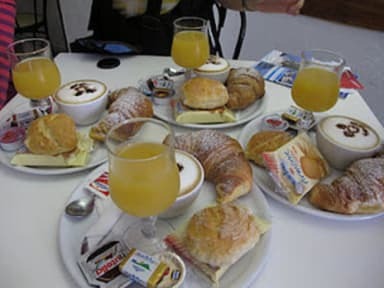 A nice breakfast is provided which was delicious and they even helped us print a few things which was great. It was also very reasonably priced for the cost of the area. Overall, I would 100% recommend this hostel. Atrani (where the accommodation is located) is absolutely beautiful, a small town just a 7 minute to Amalfi! Atrani has its own beach with a quiet, quaint town. The owners are the sweetest men greeting us each time we saw them with smiling faces!! My 5 friends and I stayed for 2 nights and it was a very enjoyable stay with a great breakfast which was already included! This is a great place to stay to try to avoid the high prices of Amalfi/ Positano prices. I will be back!!!! Lovely hostel. The owners are so lovely and friendly. The dorm had a wonderful view of the town out of the window. Nice dorm. No lockers. Dorm has own bathroom. Basic bathroom. Took a while for the hot water to come through. It would have been nice to have soap in the bathroom. The check in and breakfast is a short walk down the hill. Yummy breakfast with fresh coffee. No common room. Had a lovely stay! Amazing staff, limited wifi and phone signal given the location. Rooms scattered across the small town make it hard to get a feel for who else is staying. The church clock bell rang every half hour 24 hours a day in the next door. It is craze if you want a good.